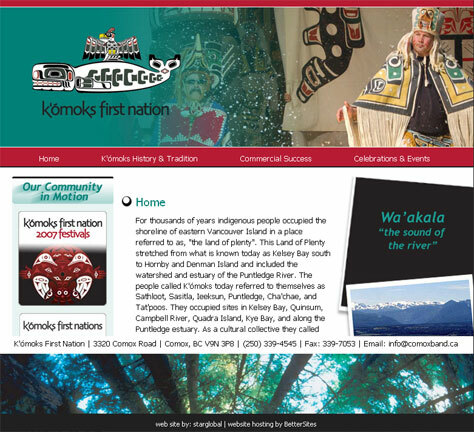 The K'ómoks First Nation required a web site to be posted quickly for information about upcoming festivals. The web site was drafted, designed and launched within 1 week. It enabled the client to post festival events and maps to the different event venues, which was integral to the events' success.